I saw Star Wars Ep. III last Saturday… After watching Revenge of the Sith you’re really feeling the sense of what is meant by “A New Hope” The movie was really intense and dark. It was an insightful look into good and evil, sin and even fallen human nature (with limits). I thought it was the most intelligent movie of the whole series [of crappy prequels]. [In one of the beginning scenes, Anakin has a dream in which Padme dies in childbirth. Eventually, fear gets the better of him and leads him into bargaining with Darth Sidious/Palpatine who claims that he has the power to prevent this vision from becoming reality.] Fear leads to the dark side. Yoda was right… “ Fear is the chief activator of our faults,” I heard a priest say once. Anakin is so gripped by the fear of loss and suffering that his fears are realized by his own doing! Instead of trusting and confiding in the Jedi council for help, he trusted in the deceitful promises of Palpatine. Sounds a lot like Adam giving in to the false promises of the serpent. When Anakin gives in to the temptation of joining the dark side, a ripple effect of destruction ensues wiping out all but 2 Jedi––and the Sith get a foothold. Mortal sin [ravages] the entire Mystical Body [leaving nothing but destruction and sadness in its wake]. Palpatine refers to the Jedi way as “narrow and dogmatic” and believes that there is a broader view of the force. That kind of spoke to me of the heterodox mentality. “Liberal Catholicism” [which holds the view that truth can be open to interpretation, fluid, relative] is a path to the dark side. Contrast this with Kenobi’s line that only the Sith deals in absolutes which is itself ironically an absolute statement––George Lucas seems to be confused as to which side of the Force deals in objective truth and which side deals in relativism. Here are some lessons [that I took away from the film]: never take too much stock in dreams; “be not afraid! just believe,” [because fear and mistrust are the beginnings of a catastrophic fall;] satan is always about death, never life; don’t try to reason with the deceiver; sin disfigures. This entry was posted in Movies on May 4, 2017 by admin. What would you do if you had to relive the same day in a perpetual loop? How would you live it? That’s the basic premise behind the movie. 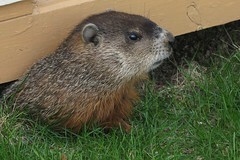 Through much of the movie, Phil, like his namesake, is scared of his own shadow. After several failed suicide attempts, Phil resigns himself to his fate and decides to make the best of his situation. He sets about learning as much as he can about the attractive new weather lady (Andie McDowell) and finding ways of winning her over, but not before pursuing much more selfish goals. In the process of repetitions, Phil embarks on a journey of self-improvement, and lives February 2 to its full potential. It’s a very creative twist of a film and while it falls under the genre of comedy, many sci-fi movies such as Edge of Tomorrow are modeled after it. Sorry about the mild spoilers. 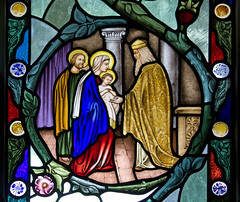 Aside from February 2nd being Groundhog Day, it’s also the Feast of the Presentation of Our Lord in the Temple. This Catholic and Orthodox Feast Day is traditionally the final culmination of the Christmas Season, or Christmas revisited, the 40th day after Christmas. Yeah, we really do our best to try to hold on to Christmas for as long as possible. The origin of the Presentation: According to the Jewish custom, spelled out in the Old Testament, firstborn male children were consecrated, set apart, to God and had to be bought back or redeemed via animal sacrifice ( look for the reason for God to ask for the practice of ritual sacrifice in a future post). At the same time, the mother had to go through a ritual purification because childbirth rendered her sacred. In the case of Jesus and Mary these things were technically unnecessary; what with one of them being God and the other the Mother of God! Anyway, the Presentation of Jesus has special significance because it marks the day when the Temple’s Lord was found physically and substantially within it. The One long hoped-for made his appearance to deliver people out of the shadow and gloom of sin and death. Better than Groundhog Day, the Presentation of Christ in the Temple in Jerusalem marks the fact that the cold of winter really is coming to an end, because the Light has come into the world and the darkness cannot ever hope to snuff it out. Jesus seeks out hearts to be enthroned in so that he can enable them to live to their full potential. This entry was posted in Movies, Uncategorized Blazes on February 7, 2015 by admin. What’s the deal with that ornery old man who lives in the woods? He has a “No Trespassing” sign in front of his house and a shotgun to keep people away from him. There are many stories about the old man––he is considered to be someone who is dangerous and threatening but nobody really knows exactly why. In the beginning of the movie we see a house burning down and a figure running away from it. Perhaps the old man is somehow responsible? He doesn’t speak much until he wakes up one night with a premonition of death caused by the appearance of the woman pictured on his wall. After that, the old man, named Felix, meets with a pastor and a funeral home director to plan a funeral and a funeral party while he’s still alive. We found out later that the party is a way for him to tell his story and make peace before his actual passing. Felix has something to get off his chest, a secret, a sin that has tortured him for 40 years. His pastor friend tells him that he needs to ask for forgiveness from Jesus. In the following scene, Felix wonders to himself, “Why should I ask for forgiveness from Jesus? What did I ever do to him?” That line really struck me. Felix’s sin is reminiscent of King David’s. He knows subconsciously that sin is not just personal, it is communal. Sin injures the Body, it injures Christ himself. When Felix asks forgiveness from the townspeople, he is asking forgiveness from Christ. Finally, after he has made peace with God and neighbor, Felix can fall asleep. The movie reminds me of spiritual writers who encourage thinking about one’s death and possible death bed regrets. Why do they encourage this? In order to make peace with God here and now, before it is really too late. The movie “Get Low” proved to be a worthy Lenten meditation and I can’t recommend it highly enough. This entry was posted in Movies on March 11, 2013 by admin. Watched the movie AD (miniseries from 1985 on DVD) yet again, this time w/ my nurse. It never ceases to move me, reminding me of the victory of the Father’s Love Incarnate through the spread of the Gospel. I try to watch the movie during the Easter Season right before Pentecost. Every time, I am amazed by the conversion of St. Paul and how the same man, filled with the Holy Spirit, spread Jesus wherever he went. God raised up a zealous, well-educated Jew to teach the faith effectively; and a Roman citizen on top of that—a passport into the whole known world! Rome was the capital of the world at the time; its empire streched into Asia, Africa, and Europe. It was fitting that God would use the Roman Empire to His advantage; Christianity spread into the far reaches of the Empire. In AD, St. Peter tells the man who would suceed him as Pope, Linus, that God led him to Rome: “it has to be here, in Rome.” This was where Sts. Peter and Paul built up the Church and were martyred. The Light, Love, overtook the darkness and cast it out. This entry was posted in Movies on May 20, 2010 by admin. It’s a wonderful privilege–mercy of God–to be so near to the National Shrine of the Immaculate Conception where a special Divine Mercy celebration takes place every year. Recitation of the Chaplet of Divine Mercy at followed by Holy Mass in the 3 o’clock hour–the Hour of Mercy. We got back from there just a little while ago. As an added bonus, there was a booksigning at the Shrine. Susan Conroy author of books on the spirituality of Bl. Mother Teresa and St. Therese. I’ve seen her on EWTN sharing her experience of working with Mother Teresa in Calcutta as a young college student during summer vacation. It was great meeting her! She signed two new books that she translated from French into English– The End of the Present World (instrumental in the life of St. Therese) and The Plays of St. Therese of Lisiieux (it turns out that she wrote eight plays!). She wrote me a special prayer to St. Therese. Today let us pray that the deluge of Divine Mercy may flood our world, immerse and envelop it. We need Divine Mercy… the Merciful Love of God as St. Therese put it. Jesus is Divine Mercy just waiting to pour out graces upon all humanity. He told St. Faustina that now is the time for mercy later will be the time of justice. Speaking of Divine Mercy, there will be a movie tonight at 9 PM Eastern on CBS about Irena Sendler, a Polish social worker who helped to rescue more than 2000 Jewish children from Nazi persecution. She certainly showed mercy.. the ABCs of mercy are: A.sk for mercy, B.e merciful, C.ompletely trust. This entry was posted in Movies on April 19, 2009 by admin. Last 9/11 I watched the movie United 36 to aid my remembrance of the tragedy. It’s very well made and does not trivialize anything. It begins by showing the terrorists preparing to board the plane, praying, reading from the Quran. There is trepidation about them. How could they think that they were pleasing GOD? The question kept running through my mind. Those terrorists were so deluded, they thought of themselves as martyrs. There were indeed martyrs on the plane but they were not the ones. No–the real martyrs were the passengers of Flight 93, who, at the cost of their own lives, fought back and brought down the hijacked plane before it reached its fatal target. Heroes banded together–united–and gave their lives for their country. This entry was posted in Movies on September 11, 2008 by admin. Just a quick heads up — last minute I know — an Italian film (2004) on St. Rita will be on EWTN tonight, her feast day ( Thursday, 5/22) and tomorrow night ( Friday, 5/23) at 10 PM Eastern. The actress who plays Rita is quite lovely and looks kind of like Michelle Pfeiffer. Perhaps incentive enough to watch. Rita does take liberties, adding and subtracting minor details, but it gets the job done in telling her life. When I rented Rita on Netflix i had an advantage because I saw it in Italian with English subtitles — the dubbed English track will be used for on TV and it’s kind of corny. This entry was posted in Movies on May 22, 2008 by admin. The movie Bella is what the name means—beautiful. Metanoia Films’ first production, Bella, is a simple yet powerful movie about self-sacrificial love. When NYC waitress Nina is fired for being late again, the restaurant’s chef Jose befriends her, learning the reason for her tardiness: she is pregnant. Tony Bennett said that after the film screening in NY. I thought the same thing but I’m not Tony Bennett. Bella presents the case for life–without saying much. As Nina gives reasons why she cannot keep her child, Jose doesn’t give her a sermon–he just listens. Bella is not propaganda—it doesn’t condemn or point fingers. In no way does Bella come off as judgmental. That’s really all I can say about the movie without giving it away for those who haven’t seen it yet. Note the sign at the beach and the kite in the air as the movie ends. Please go and see Bella this weekend Nov. 16-18 so it remains in the theaters as long as possible! This entry was posted in Movies on November 17, 2007 by admin. I’m really looking forward to see this new movie Bella. It’s got a powerful message about life, love and hope. I believe Bella can change lives and our society at large. Bella was filmed in 23 days and won the Toronto Film Festival! This entry was posted in Movies on October 20, 2007 by admin.